Facebook is being pressured to pull messenger kids from common sense media so that parents will have control of their kids' social media activities. Saying young children are ?simply not ready? for social media, health experts and children?s advocates are urging Facebook to discontinue Messenger Kids, its new messaging app. ?At a time when there is mounting concern about how social media use affects adolescents? wellbeing, it is particularly irresponsible to encourage children as young as preschoolers to start using a Facebook product,? the letter says. The letter, sent by 19 advocacy groups including Public Citizen, Parent Coalition for Student Privacy, Peace Educators Allied for Children Everywhere and dozens of doctors and health experts, cites a study released last week that showed a link between teen unhappiness and social media use, and other studies that show social media?s harmful effects on children?s perception of body image as well as their sleep habits. In addition, parents who have had to moderate their children?s screen time know it can be tough ? earlier this month, Apple investors urged the smartphone giant to take action on kids? phone addiction ? and the group cites studies about that, too. ?We worked to create Messenger Kids with an advisory committee of parenting and developmental experts, as well as with families themselves and in partnership with National PTA,? a spokeswoman said. ?We continue to be focused on making Messenger Kids be the best experience it can be for families.? She also reiterated that the app ? which is solely for messaging and does not contain a News Feed or posts like Facebook does ? is free of ads. But ?there?s a clear business rationale,? said James Steyer, founder and CEO of Common Sense Media, a San Francisco nonprofit dedicated to children?s online safety, Tuesday. ?They?re trying to get kids hooked early.? 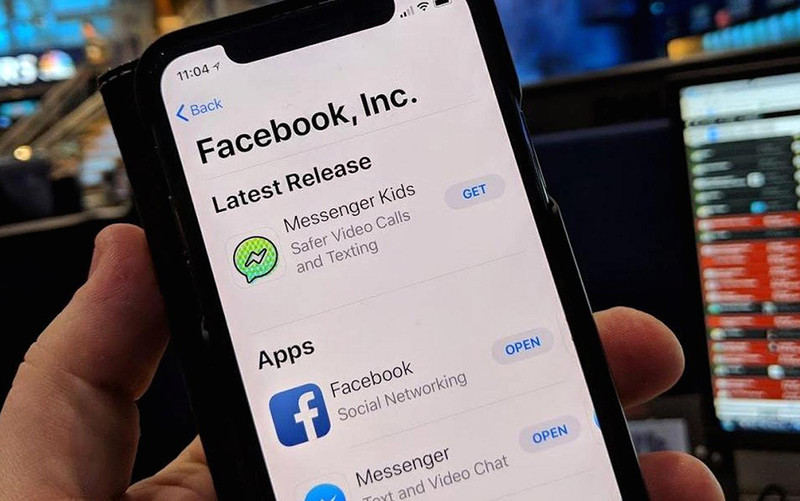 Experts who worked with Facebook on the messaging app point out that some kids are already on social media apps before they?re 13, and they and Facebook pointed to a survey that showed some kids start using such apps as early as 8 years old. The app gives parents control and a way to track who their kids are messaging, they say. ?In response to some of these scandals, you have personally vowed to ?do better.? ? the letter says. ?Doing better is leaving younger children alone and allowing them to develop without the pressures that come with social media use. ?